Kidney Stone Diet: Can Foods You Eat—and Avoid—Help Prevent Kidney Stones? Kidney stone pain can be excruciating, as our contributor knows from experience. How to avoid this little-understood condition? A kidney stone diet is Step 1. It shouldn't come as a surprise: A kidney stone diet will mean a reduction in salt—a habit that'll help your health in multiple ways. According to the National Kidney Foundation, it’s estimated that 1 in 10 people will have a kidney stone at some point—the prevalence has more than doubled since the late 1970s, and it’s nearly double in men compared to women. A few years ago, I had kidney stone surgery (percutaneous nephrolithotomy) to remove three large calcium oxalate stones that were causing me terrible agony. If you’ve ever had a kidney stone—hopefully you haven’t and never will—then you can understand what I’m referring to. Pain and discomfort are often but not always present. The condition is not entirely understood; however, current research shows that when it comes to prevention, diet matters—a lot. What you eat, avoid eating, and drink might be your best defense. In short, a kidney stone diet can help you manage the condition. A kidney stone is made from chemicals (waste) in your urine. Crystals form when you have too much waste and not enough liquid. The crystals become larger when they’re not passed out through your kidney. Though not fully understood, the causes (and types) of kidney stones can be found at this National Kidney Foundation page. 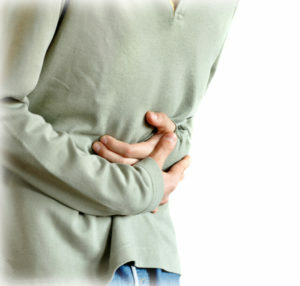 Do you want to prevent gastritis, ease GERD symptoms, and stop the discomfort of indigestion? If so, claim your FREE copy, right now, of our special guide on digestive health. Experts agree, perhaps surprisingly, that moderate amounts of dairy in the diet actually help to prevent kidney stones. It seemed like an oxymoron to me, but my nephrologist confirmed this fact. The calcium and magnesium in dairy bind to oxalate. Oxalate is a naturally occurring molecule found in abundance in plants and humans. Oxalate is not a required nutrient; too much can lead to kidney stones. In studies, dairy has been shown to decrease our ability to absorb oxalate and form kidney stones. In fact, those who consume dairy regularly have a 40 percent lower risk of forming stones! Keep dairy in moderation—that is, if you can tolerate dairy. Also, it’s important to consume dairy along with low oxalate foods rather than by itself; otherwise, the high intake of calcium in isolation can have a reverse effect. St. Michael’s Hospital in Toronto includes a department called the Kidney Stone Centre (one of few in Canada). The Kidney Stone Centre recommends consuming three cups of calcium-rich dairy per day. It can come from such dairy products as kefir, yogurt, and cheese). I found this interesting, because many “stone formers” I know have told me they eliminated all dairy from their diet, fearing the calcium intake would increase their risk of stones. The opposite, research tells us, is true. Although I can’t imagine consuming three cups of it, kefir and yogurt are generally easier to digest and lower in lactose than cow’s milk. They are also high in probiotics, vitamin K (linked to better calcium absorption), and other vitamins and minerals. The Kidney Stone Centre at St. Michael’s Hospital says that kidney stone formers should aim to drink 2.5 to three liters of lemon water per day using this recipe: Add two tablespoons of organic lemon juice to half a liter of water. Lemon juice contains citrate, which binds with calcium and prevents calcium from binding with oxalates (as noted above, oxalates can form stones). This advice, though, can be challenging. My urologist, however, said studies show that those who drink the highest quantities of water exhibit the lowest of stone formation. There is a lot of research backing up the effectiveness of lemon juice in kidney stone prevention. The kidney stone dietitian I saw said lemon water is one of the best and most effective ways to prevent stones. When you eat foods that contain oxalate, it travels through your digestive tract and is passed out in your stool or urine. As it passes through, oxalate can bind with calcium. When too much oxalate passes through your kidneys, it can lead to kidney stones. That’s why you should steer clear of high oxalate foods. Examples of high-oxalate foods include these nuts, fruits, and vegetables: almonds, avocado, baked potato with skin, cashews, dates, dried figs, dried pineapple, grapefruit, kiwi, orange, peanuts, pistachios, pumpkin seeds, raspberries, rutabaga, spinach, sweet potatoes, and walnuts. Yes, unfortunately, it’s a long list! Kidney stones grow and thrive in a salty environment. Keep your salt intake to a minimum. Stones thrive in a salty environment, including table salt, sea salt, and Himalayan rock salt. Aim to consume less than 2,000 mg of sodium per day. Stone formers need to cut out processed and fast foods, because they’re ridiculously high in sodium. 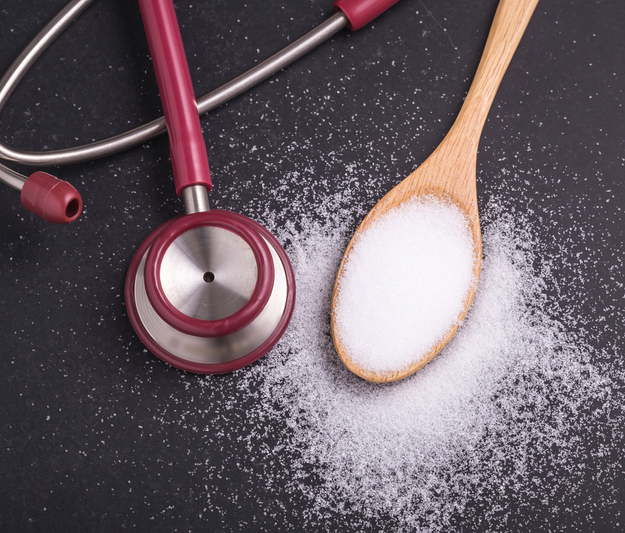 Research by Dr. Jacob Lemann and others shows that stone formers should also stay away from refined and simple sugars (table sugar, for example). Eat less animal protein (animal flesh, poultry, organ meat, and fish). Too much animal protein leads to high levels of uric acid and sodium, as well as low levels of citrate and an acidic urine pH. Try to consume portions the size of the palm of your hand and thickness of your little finger. Interestingly, vegetarians—despite consuming a fair amount of high-oxalate foods—have half the rate of forming stones than meat-eaters. Avoid caffeine as much as possible as it is associated with kidney stones. Avoid vitamin C supplements as it gets metabolized into a form of oxalate. Maintain a healthy weight because being overweight is linked to stone formation. Is Your Kidney Stone Pain a Single Episode… or Chronic? Originally published in 2017, this post is regularly updated. Pancreas Pain: What’s Behind It? What Happens in the Small Intestine? add, almonds, caffeine, calcium, calcium from food, celiac, celiac disease, dairy, dates, diet, digestive, digestive tract, food, foods that cause kidney stones, health, health news, healthy weight, home remedies, kidney stone diet, kidney stone pain, kidney stone treatment, kidney stones, magnesium, milk, nuts, organic, pain, potatoes, probiotics, protein, recipe, skin, spinach, studies show, sugar, supplements, university health news, uric acid, vegetables, vitamin, vitamin c, vitamin k, vitamins, vitamins and minerals, walnuts, yogurt. I thought you might be interested in this article on https://universityhealthnews.com: Kidney Stone Diet: Can Foods You Eat—and Avoid—Help Prevent Kidney Stones?